A florist choice mix in pinks, creams and whites. This bouquet is delivered in a vase to make it easy to keep. A gorgeous floral gift perfect for any occasion. 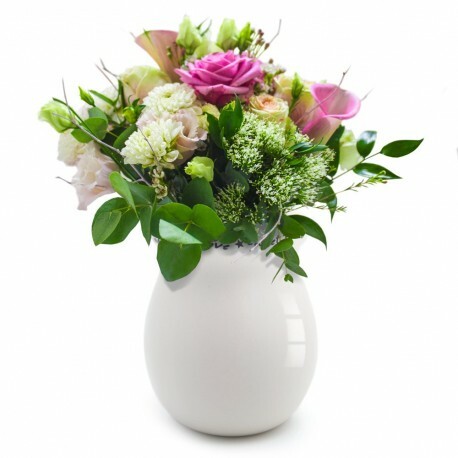 This arrangement is handcrafted by a professional florist, in some cases, variations from the image represented here including vase may occur also flowers depending on season.